Today we're working with Calgary wedding hairstylist, The Pretty Haus for the latest inspiration and ideas for your wedding hair. 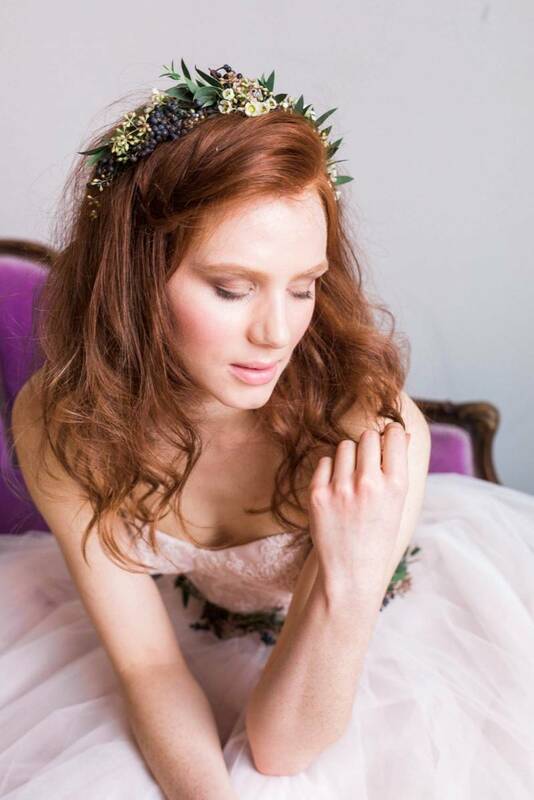 We are huge fans of the flower crown, it evokes wild and free beauty and romance, but we are also loving how the flower crown is evolving into new hairstyles and inspiring modern brides to try something different with florals and foliage instead of veils and crystals. The Pretty Haus has shown us how more brides are opting to use fresh flowers and greenery as custom hair pieces, rather than purchasing a ready-made hair accessory or veil. 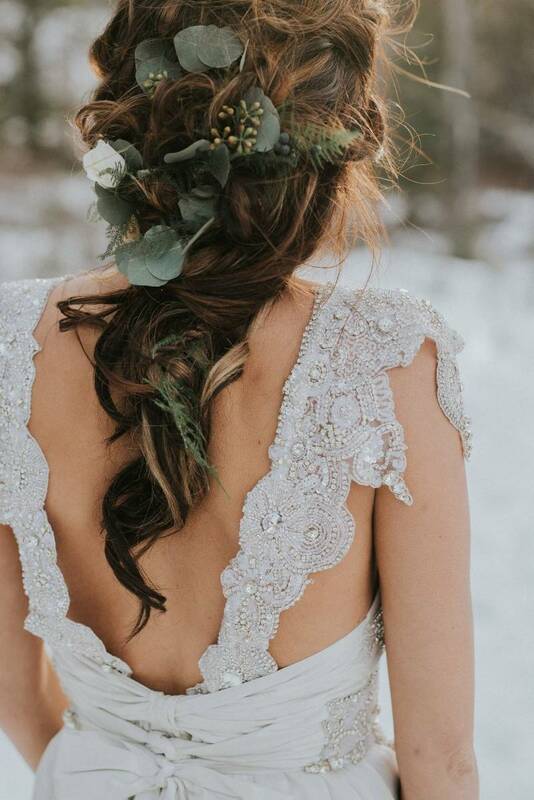 It's a trend we are definitely loving and today we're going to look at some amazing wedding hair inspiration courtest of the talented team at The Pretty Haus (this team is bringing creativity and artistry to another level as a Calgary wedding hairstylist!). Above: Simple greenery and flowers tucked into long loose curls. It's the perfect way to tie back part of your hair and create a gorgeous, natural hairstyle. Below: Tiny flowers, foliage and berries are used to create a natural headband instead of your typical flower crown. It's a gorgeous look! 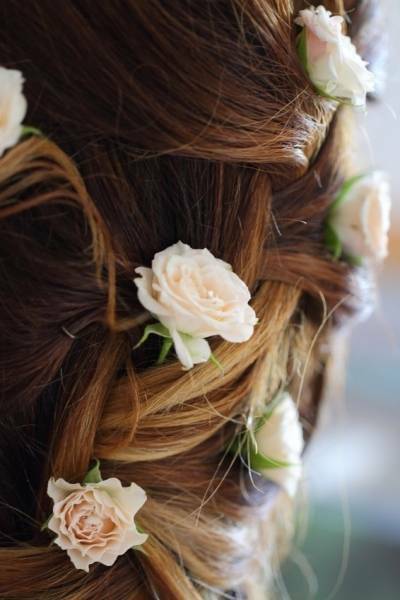 Above: Mini roses are tucked in throughout this classic hairstyle to add a touch of natural beauty and romance. Below: Greenery and foliage are tied throughout this long and loose hairstyle for an incredible organic and romantic look. If you are loving these hairstyles be sure to check-out The Pretty Haus for more ideas and inspiration. 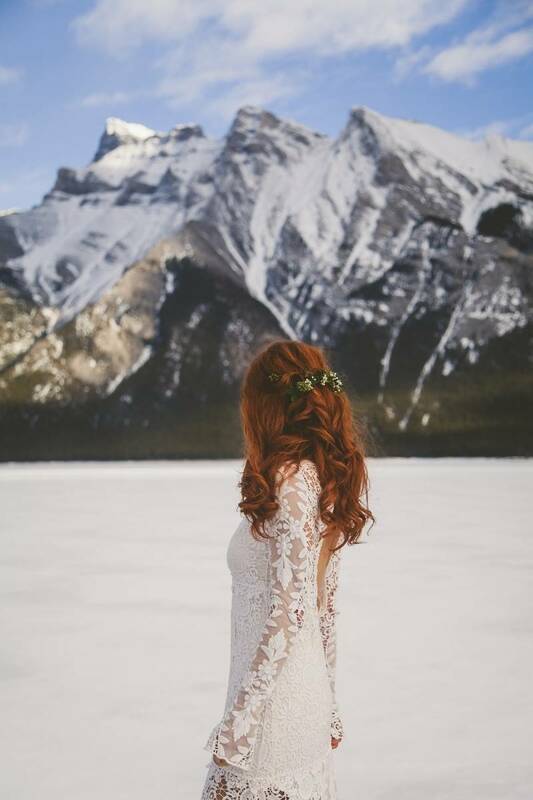 They are a team of leading Calgary wedding hairstylists (and makeup artists) and they are also based in Canmore and Banff for your wedding day. 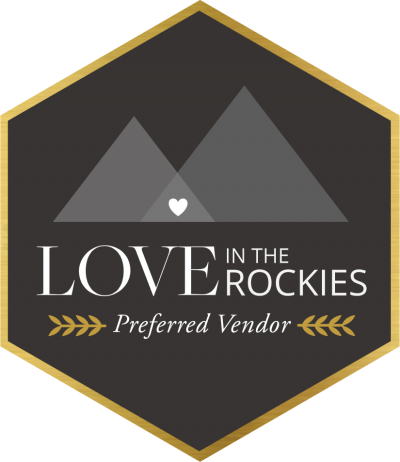 The Pretty Haus is a member of our preferred Canmore wedding vendors and we love seeing their gorgeous work and how they help so many brides find the perfect wedding day look!